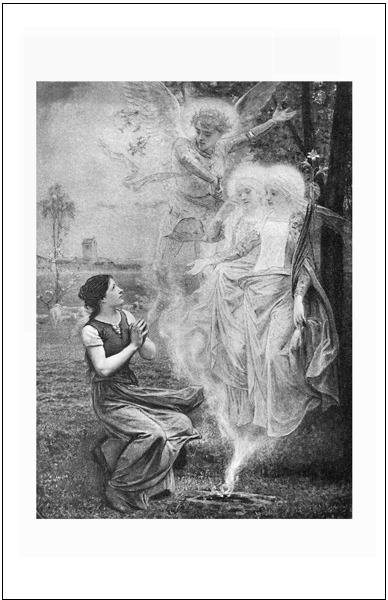 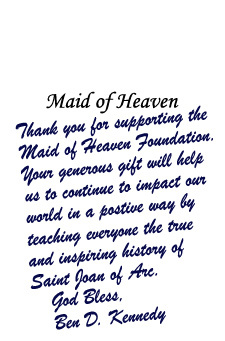 From the outside cover to the inside pages, everything about the book Maid of Heaven is designed to accentuate the understanding of the incredible life of Saint Joan of Arc. 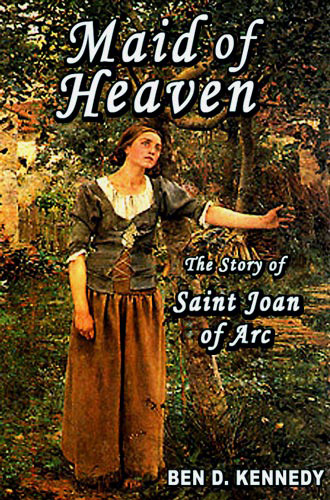 Each page contains rare antique drawings depicting different important events in the life of Saint Joan of Arc. 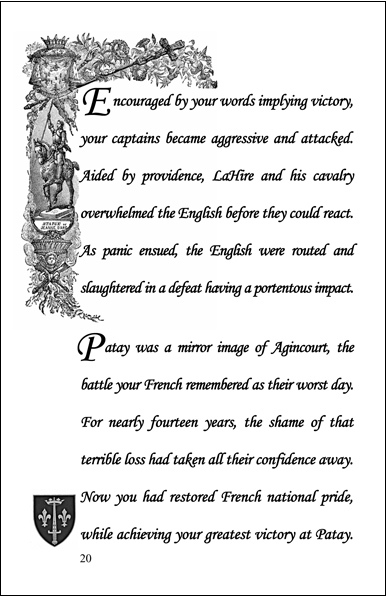 Also included are 17 full-page pictures selected to correspond with the part of Saint Joan's life depicted on the adjacent pages. 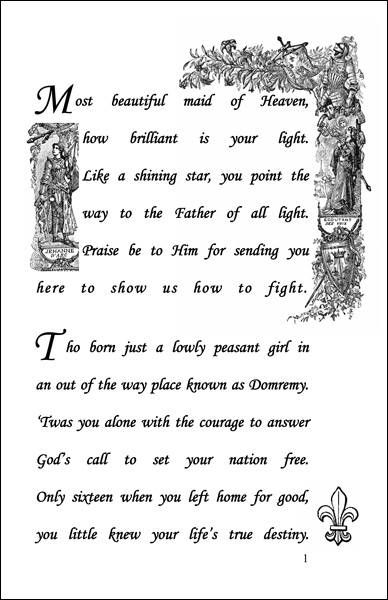 The resulting book is one that has been lovingly crafted to both honor Saint Joan of Arc and to inspire the reader with the story of her amazing life.